In my final update for Term 1, I am taking the opportunity to exploit the expertise of Sr Veronica Lawson, a Sister of Mercy and renowned theologian, presenting her reflections on one of the most fascinating stories of Easter. Many of us have had the good fortune to study and learn from Sr Veronica. Sister Veronica Lawson RSM (Ballarat East) offers a reflection on the Gospel for the third Sunday of Easter (Luke 24:13-35). Extraordinary things can happen if we open ourselves to the presence of a stranger on the road of life. That seems to be one of the elements in today’s gospel passage from the well-known and well-loved Emmaus story. Imagine two dejected disciples (Cleopas and possibly his wife) on the road back from Jerusalem to their home in Emmaus, a few kilometres away. On their journey, they encounter the risen Jesus. At first, they fail to recognise him. Their sadness at his death has blinded them to what is happening before their very eyes. He engages them in conversation and holds up a metaphorical mirror to their experience of loss and grief. Their hearts ‘burn’ within them as he reveals to them the meaning of their sacred scriptures. They invite him to share a meal with them and their eyes are opened: they recognise him in the breaking of the bread. He disappears from their midst. They cannot contain the joy they have experienced in realising that Jesus is alive. Cleopas and partner go straight back to Jerusalem to share the good news with the other disciples. Now all the assembled disciples experience powerfully the presence of Jesus in their midst. They share a meal with him. He opens their minds to understand the scriptures. Everything falls into place. The fear that has paralysed them falls away. They not only understand Jesus’ death and resurrection in the light of the scriptures. They now know that they will be ‘clothed with power from on high’ to exercise their role as witnesses to this great mystery, and to preach forgiveness to all peoples ‘beginning from Jerusalem’. If we allow our hearts to ‘burn’ within us, we too may recognise the Risen One in our gatherings and become his witnesses to the ends of the earth. When I reflect on the reading and the fear that initially crippled the disciples it reminds me of our human vulnerability and how that perpetuates itself in so many forms. Change can engender paralysis; any step into the unknown creates trepidation and anxiety. It is incredible to watch how nervous young people are now when they have to meet new people and talk to them. The great challenge of our age is to understand that this sense of paralysis is real. So often we hear the saying “build a bridge”; well the reality is that we have to develop in young people the skills and confidence to build the bridge. For example, in South Australia some students are being taught the art of social etiquette in an attempt to build those social skills and graces. As with all changes, it was never expected to be perfect, nothing ever is. What we have witnessed throughout this term as the programs rolled out is an enormous amount of trust across the community as we started to grasp how it all works. The courage and energy that so many have shown in adapting to the changes has been inspiring. The teaching teams are working really well and their passion for the new integrated learning model is growing. Evidence of the benefits for learning are becoming more obvious as students complete units and their work is showcased. As the year progresses we will continue to seek feedback about all of these new elements. There are already some gaps that have been identified and we will work to rectify them. I don’t think for a minute that our experiences of change match the trauma Cleopas was experiencing. However, like the disciples on the road to Emmaus, we all feel fear and a sense of caution at times. As Catherine McAuley said, we need to believe in providence and trust God. Perhaps Catherine’s presence has been part of that providence. If we keep our eyes and hearts open, we too might be enlightened by an experience. This term we reached a significant milestone at Coolock when students commenced classes in the Sister Aloysius Martyn Arts Centre on the first day of the year. The students love being in the space, with the new furniture and different environment. The design and spaces in this new facility have created so much enthusiasm and it is a great model to replicate in our masterplan. The official opening is set for Friday 10 May. The other great joy at Coolock was the removal of the portables in the west block. The area looks so much better since they have gone. An amazing the number of people remember being in those portables – we have received reminiscences that show they had been in action for over thirty years. The label ‘temporary’ is something of an exaggeration when we think of those classrooms! Early next term the remodelling of the Kelly Building at St Mary’s Campus will be complete. We are seeking ideas to re-name the building. The Fairbrother team has been very professional in their efforts to minimise disruption and keep the works to schedule. The introduction of the new Allied Health, Food technology and canteen areas will be a huge difference to both learning and recreation for our senior students. The first week back will be a bit disrupted; Term 2 starts on Tuesday 23 April but after two days there is the Anzac Day public holiday on the Thursday and Friday 26 April is a pupil-free day due to the staff professional development day. 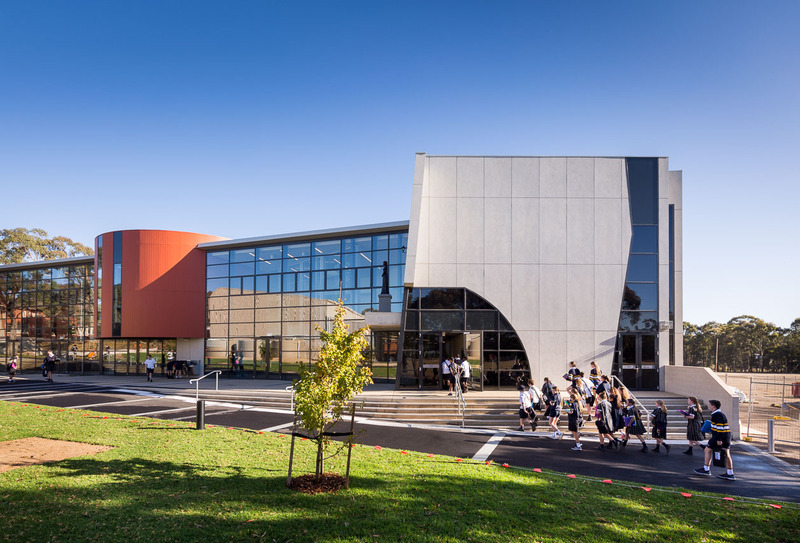 In finishing up the term I want to congratulate the Year 7s on their transition to secondary school and the Year 10s who have done equally well in their transition to St Marys. On behalf of Mercy Education Limited I would like to acknowledge and thank the Catherine McAuley College staff for their support and hard work in the transition and wish everyone a safe and reflective Easter break.